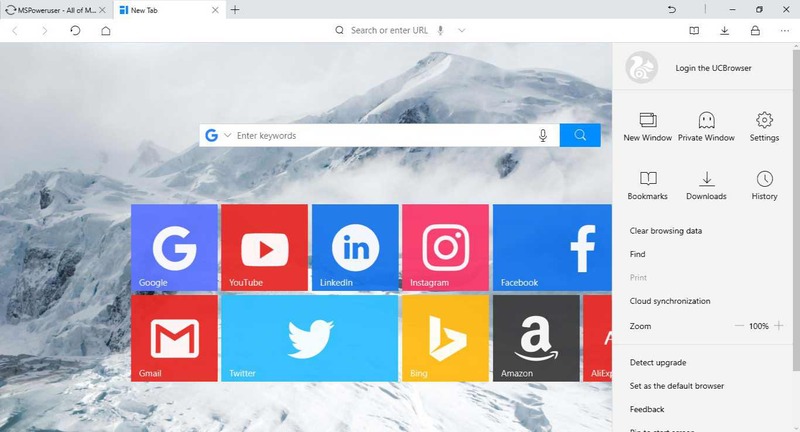 UC Browser for Windows 10 is now available at Windows Store. The UC Browser released as UWP (Universal Windows Platforms) app. Designed for both tablet and traditional mouse/keyboard interface, equipped with Cloud Sync, Voice Search, Tile-view Bookmarks, Password Manager. Check out more details below. You can download the UC Browser for Windows 10 from the link below or from the Windows Store.